Gleaming sterling with delicate swirling accents and a faceted garnet. The picture does not capture the sparkling character of the locket and garnet. 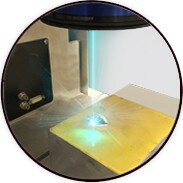 The locket opens to hold two pictures or some small item. It measures approx. 3/4" across and 1" long not including the bale. It is stunning in style and quality. Comes with a 18" chain. BTW, the back is plain and smooth and very engravable. 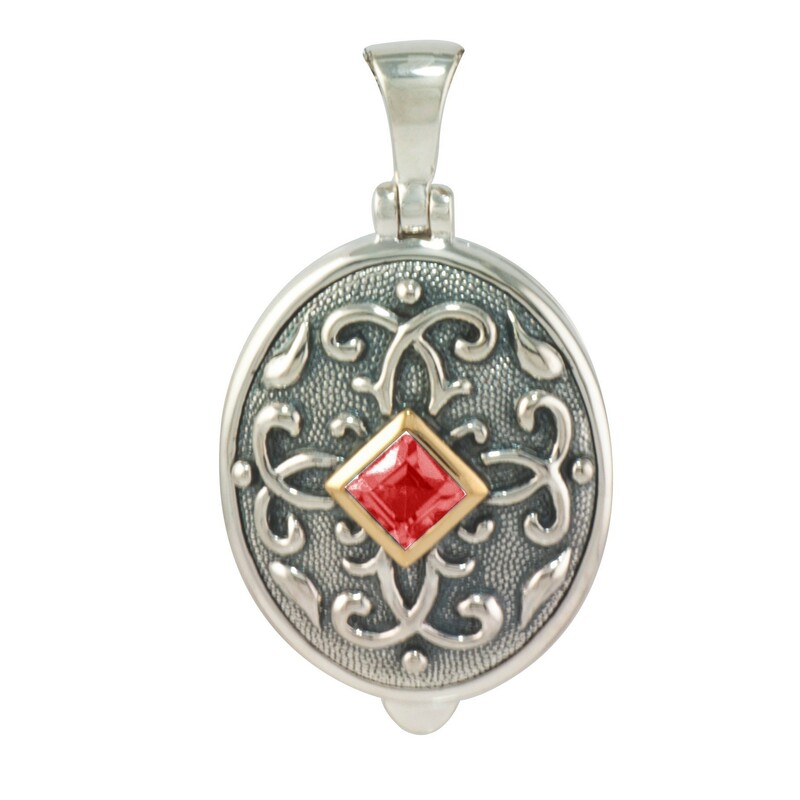 The picture does not capture the sparkling character of the locket and garnet. The locket opens to hold two pictures or some small item.